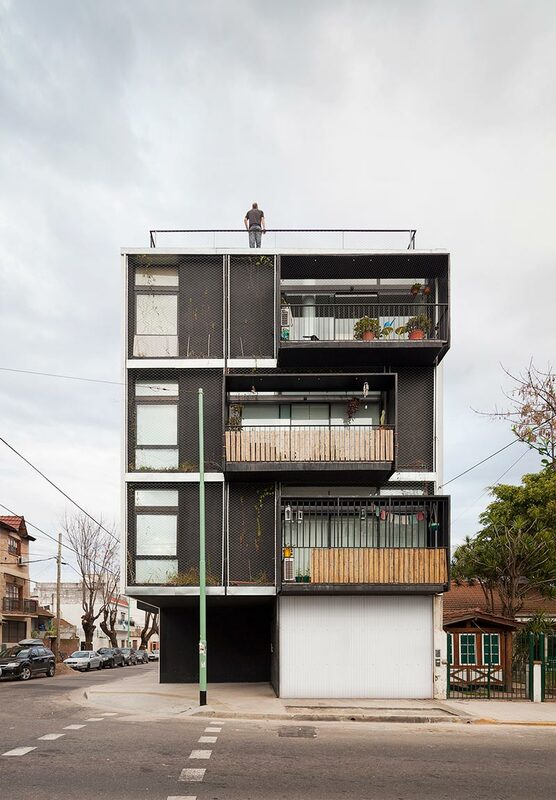 The Quintana 4598 is a rare mixture of modular construction and modern design, packaged together in a unique multi-family exploration of materiality and flexible interior programming. 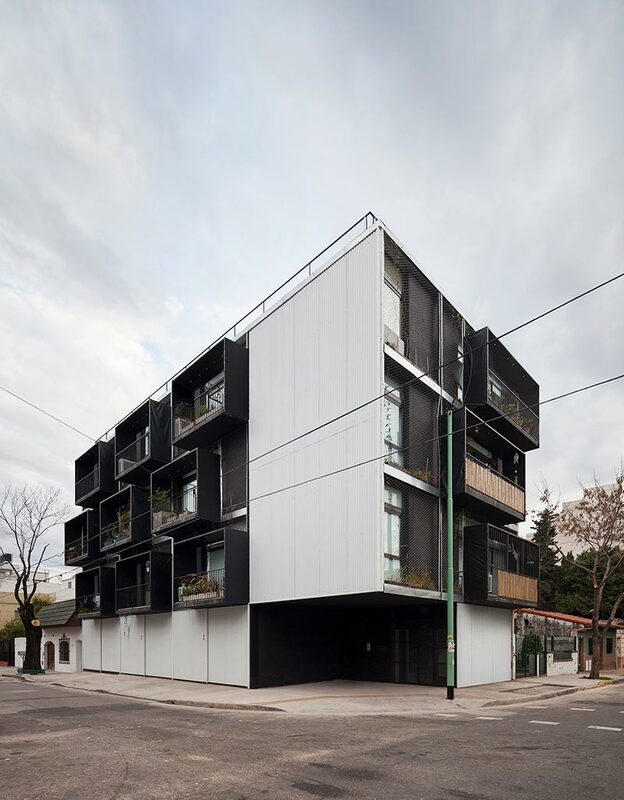 IR Architectura had breathed new life into a building typology that is notorious for sacrificing imagination for “whatever’s cheap.” The result is a cohesive structure that not only gives tenants the most for their money, it adds urban intrigue to an area in Saavedra, Argentina that was in sore need of a facelift. The structure is situated on a corner lot in a largely residential neighborhood. 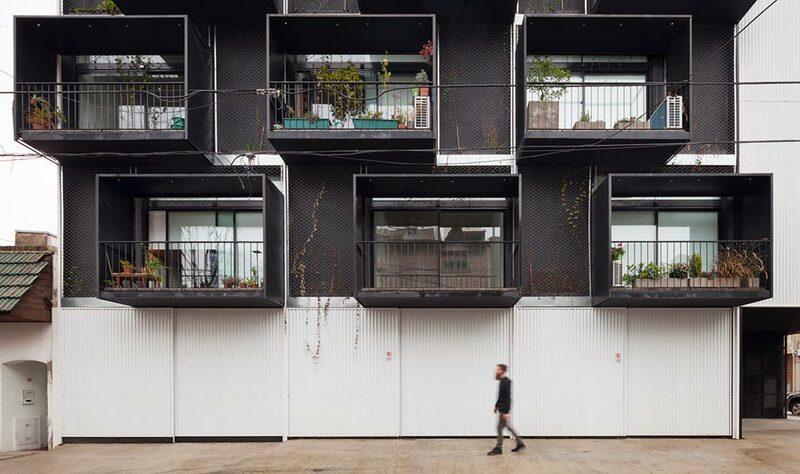 The facade is comprised of sections of solid corrugated metal interrupted by undulating boxed out balconies that demarcate each of the 12 residential units. 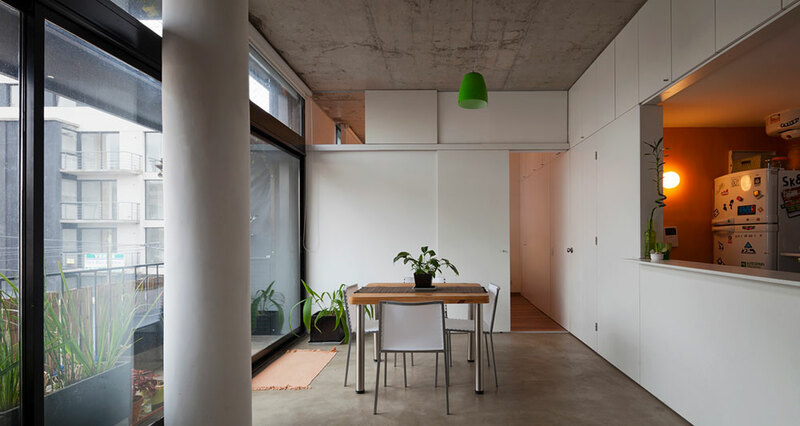 The balconies are offset to break up what would otherwise be a formally rigid visual expression, and recede back into the facade where a sliding glass door lets light and air into the interiors. At the ground level, the corner operates as the primary entrance into the building. A substantial recess creates a natural source of wayfinding, giving pedestrians a place to cut the corner and have to themselves a momentary break from the elements. While the structure is quite modern in material and form, it does well to weave into the existing urban fabric of the surrounding area. It properly aligns in scale with both the traditional single story structures as well as the 3-4 story modern apartment buildings. The totality of the design does remarkably well in straddling the line between tradition and progression. 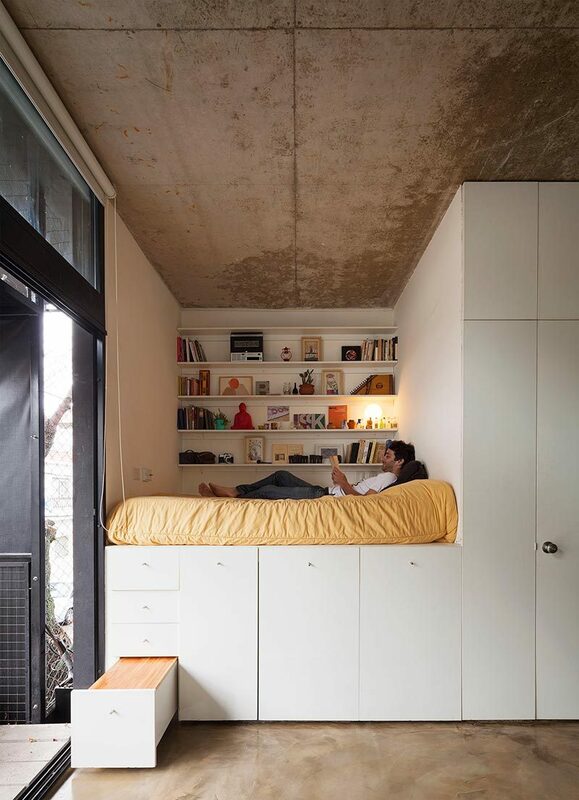 The units themselves are compactly organized by a series of movable ‘furniture’ items. 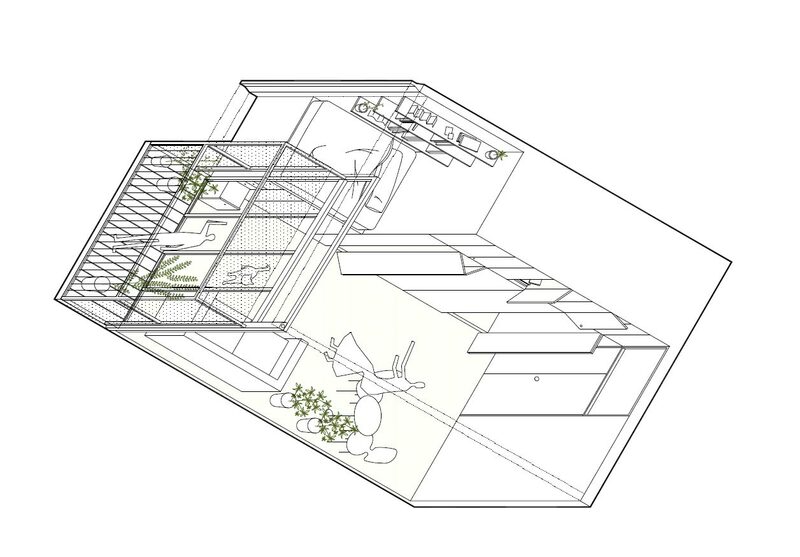 These elements are user-defined, and allow for many different configurations of the exact same floor plan. Floor to ceiling walls of doors and openings lead into the kitchen and bathroom spaces. 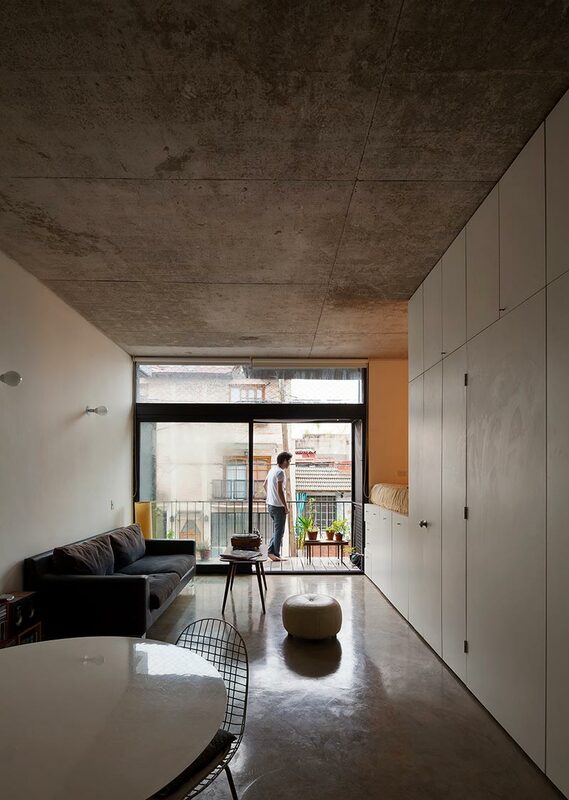 These doors give the possibility of various levels of opacity between the private, utility spaces in the units. As mentioned before, the far end of each unit leads out to a vegetated balcony with great views and pleasant, covered outdoor space. 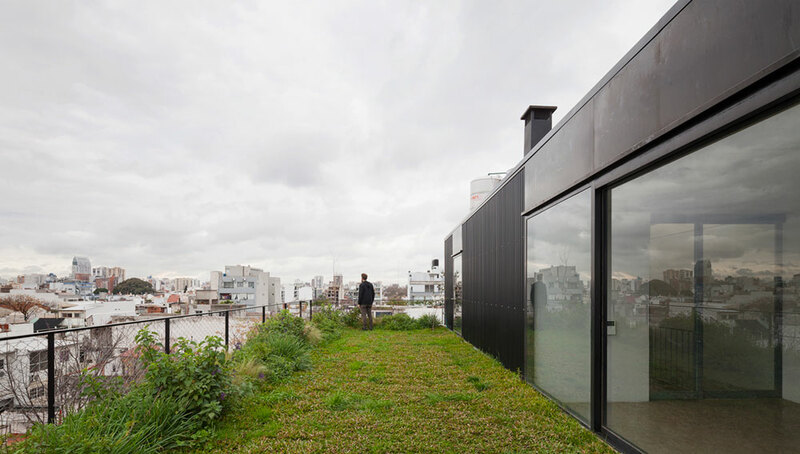 And if that isn’t enough, there is a public rooftop deck complete with sections of green roof and landscaped areas. It’s the culmination of a design experience that starts on the street and continues on a common thread throughout the interiors. 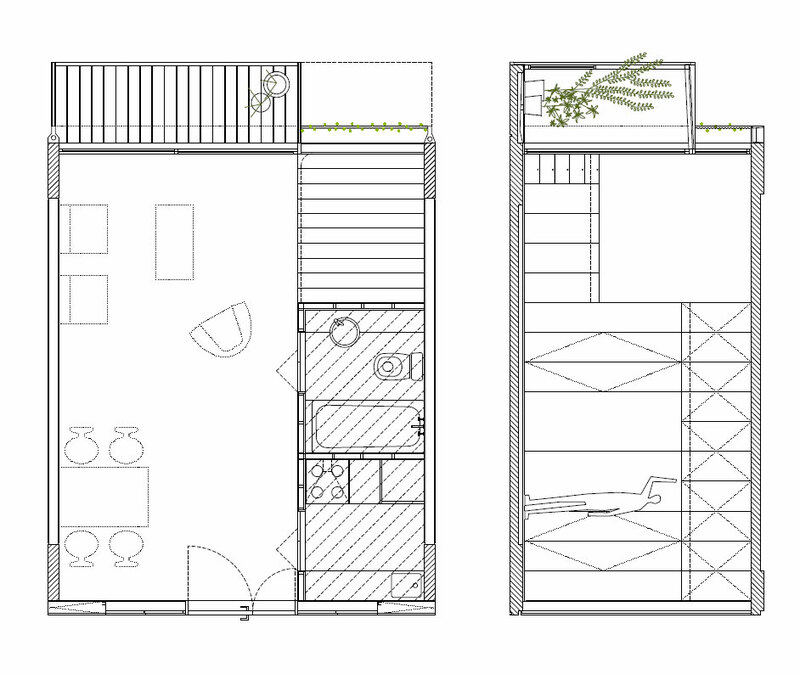 The Quintana 4598 is a step in the right direction for a neighborhood in the midst of substantial urban revival.